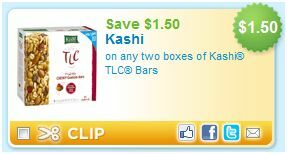 Great New Kashi Coupon on Coupons.com! It has been a long time since I have seen a printable Kashi coupon so I was excited when this coupon showed up on coupons.com. I was even more excited when I saw that Target added printable coupons that can be stacked with this coupon and Kashi bars are on sale this week at Target. Ca-ching! Everything you need for a great deal. I am getting my coupons around for a great Target shop and I will post how you can do it too. The first thing you need to do though is print this coupon twice so you are ready! Click here to print out your coupons today! Just found out about a great coupon that will make Travel Size First Aid kits free. These sell for about $1.00 at Target and CVS. I keep one of these kits in my car, my bags,my purse, etc. It is amazing how many times that you need band aids with kids. Just print out this $3 off 2 Johnson and Johnson Red Cross coupon and can get 2 free kits! Looking for FREE Things to Do This Weekend? Wondering what you and your family are going to do this weekend? Don’t miss the Target Arts & Wonder Free Family Event, July 16-18, at a museum or performing arts institution near you. Bring your family and enjoy the arts with Target! You can click here to see what events are going on near you. For those of you in the Detroit area, I found these FREE events. Do you see anything in your area that looks good? Target just added some new coupons to their site that could make for some cheap clothes and accesories. Target clothes and work out gear don’t cost all that much to start out with and you can check out the clearance section to find super cheap things. If you would rather shop online some of the coupons have online codes too! You can clink here to print these Target Printable Coupons. If you are new to using coupons at Target be sure to check out my page on Target Bargain Basics. Remember last week when I posted about how to get a buy one get one free coupon for Sobe? 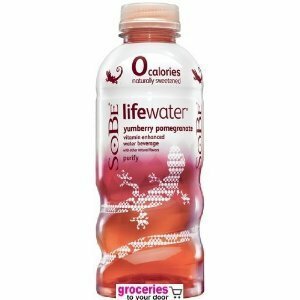 You can use it this week to get free Sobe! The first place you can get it free is at CVS. They are having a buy one get one free (BOGO) sale on Sobe with a limit of 6. Are you wondering how both are free? At CVS, items on a BOGO sale ring up 1st= full price and 2nd = FREE. When you use a BOGO coupon, it attaches to the full price item because the other is free. This makes them both FREE! Don’t have a CVS nearby? Then you can get it free at Target too. You can use the BOGO Sobe coupon you won and a $.50 off Target coupon on each bottle (including the free one) If this seems confusing, be sure to read the Target coupon basics. You can print the Target coupon here. You will only be able to print two unless you have more than one computer. If you don’t have the Sobe BOGO coupon yet. You can get one by playing the Heads or Tails game. You can play once a day. Play the heads and tails game now! So let me know if you got some free Sobe and what you think.